3. Corpses are transported by cart along an unpaved street in the Deblin-Irena ghetto. 4. A Jewish council official named Kaminski (in the foreground) watches as men remove corpses from a cart and pile them in a barn in the Deblin Irena ghetto. 5. Jews push a cart loaded with corpses along an unpaved street in Deblin-Irena. 6. The corpses of Jews lie on the ground in the Deblin-Irena ghetto. 7. The corpses of Jews are piled up in a barn in the Deblin Irena ghetto. 8. Camp guards beat a prisoner at the Cieszanow labor camp. 9. Portrait of Rabbi Avraham Grodzensky, former head of the Slobodka Yeshiva, after he was forced to shave his beard. 10. 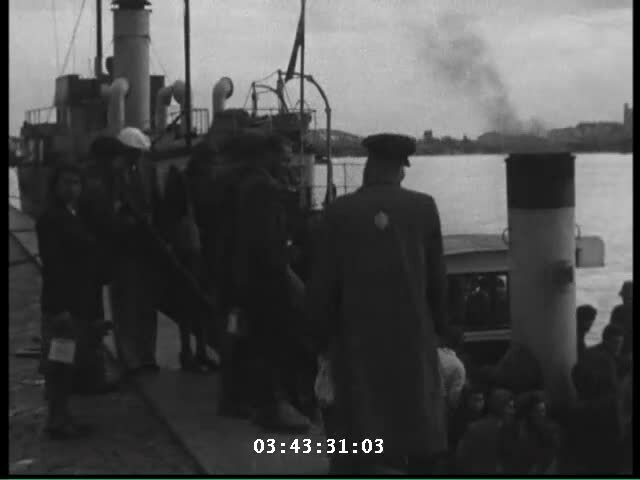 A group of Jews return to the ghetto after forced labor on the outside. German and Lithuanian guards search them as they enter. Jewish police stand among them. 11. A group of Jewish men return to the ghetto after forced labor on the outside. 12. 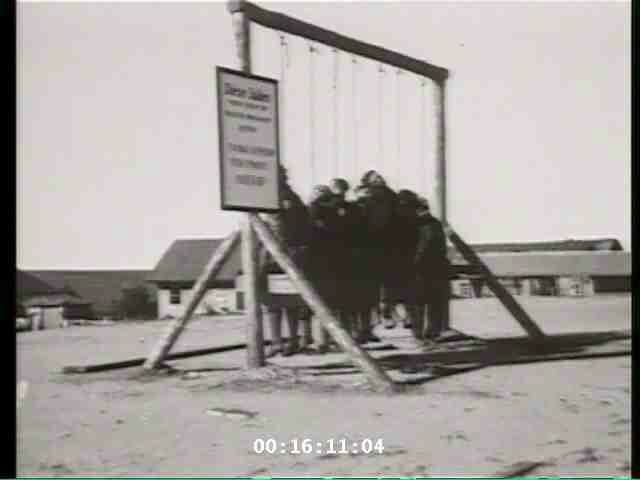 Execution by hanging of Jews from Lvov. 13. A group of Jews return to the ghetto after forced labor on the outside. They wait to be searched as they reenter the ghetto. A Jewish policeman holding a stick keeps the laborers in line. 14. A group of Jews return to the ghetto after forced labor on the outside. Here, they line-up to be searched. Jewish police stand among them. 15. A group of Jews return to the ghetto after a day of forced labor on the outside. They line-up to be searched by German and Lithuanian guards. 17. Jews converse outside in the "Sammelstelle" [gathering place] in the Kovno ghetto. 18. Three girls go for a walk through the woods near Chateau de la Hille. 19. Children go for a walk in the countryside near Chateau de la Hille. 20. Madam Nadal poses with a group of younger children in Chateau de la Hille.